We are a full service scrap yard and recycling center serving NW Ohio. Magazines, General office file mix and cardboard. iron, cast iron, aluminum cans, stainless steel and junk cars. the customer and the community. 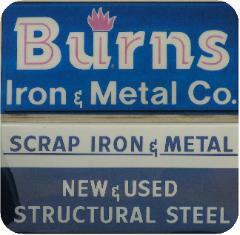 Copyright © 2004 Burns Iron & Metal Co, Inc. All rights reserved.